Employee motivation in the workplace has a strong influence on project results. A project team that is highly motivated to accomplish the goals of the project is not only much more likely to reach those goals, but will also have fewer issues and problems along the way. As a project manager, it is important to realize that there are two key distinctions between project team motivation and general employee motivation in the organization. The first distinction to consider is the initial motivation level of the project team members. We'll look at the leadership style you should use for project team motivation. The second distinction to consider is the project environment that your team members work in. We'll look at how you can create a positive project environment even if the overall work environment is negative. Understanding these differences will help you focus on the employee motivation techniques and motivation theories that are most effective for project teams. The first distinction to realize is that when a project starts, most of the team members are already motivated to perform well. The reason for this is that when most people begin a new job, or in this case project, they are enthusiastic, eager to work and want to contribute. The project manager should not be trying to motivate the team, but should be working to maintain each team member's motivation. One way to do this is to use a participative leadership style. By making sure the team is involved in project planning and decisions, implementing their ideas, and celebrating team achievements they will stay engaged and motivated. The second distinction to realize is that it is possible to have a positive project environment even when the overall organizational environment is negative. The project manager can create a subculture within the organization where he can motivate the project team despite any negative organizational climate. 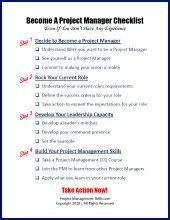 To do this, it is important that the project manager communicate clearly at the beginning of the project. Special emphasis should be placed on getting top management support, establishing an agreed project scope with key stakeholders, and involving the project team as early as possible. By maintaining the initial motivation levels that the team member's bring into the project and creating a positive project environment, the project manager can keep a high level of motivation in the workplace that will lead to high performance of the project team. 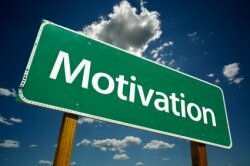 You can find more articles about the importance of motivation in project management below.